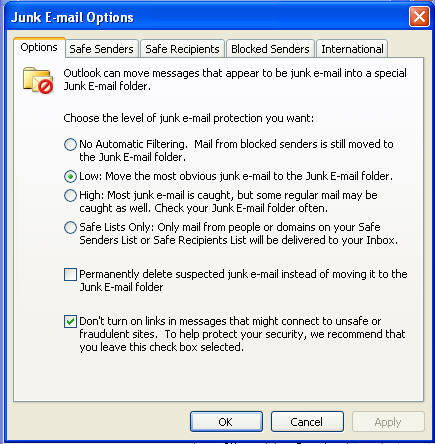 Options: This allows you to control how strict your SPAM filter will be set. We typically recommend to start with Low and adjust from there based upon the percent of SPAM emails it allows through. We also recommend that you do not enable permanent deletion of emails as some valid emails will be flagged as SPAM and you want to option to recover them. Finally we recommend that you do turn off link (last checkbox).